The long -eared owl is a common species of owl widespread along the Northern Hemisphere. 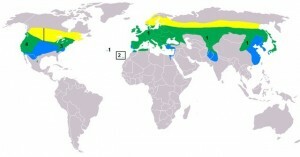 This bird is found throughout Europe and North America with some of them migrating to parts of Asia during the winter months. The so called “ears” of the long-eared owl are just tufts of feathers located above its head with the real ears of this bird actually hidden behind the feathers on its head. These medium-sized birds of prey are smaller than woodpigeons. 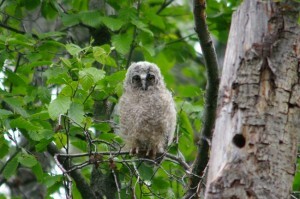 Most of them are buff-brown in color marked with streaks of dark brown that help them to blend with the woods. The tufts of feathers located on its head are mainly used for communication and camouflage, with the additional benefit of giving these birds the appearance of being much larger than they actually are. Habitat Lives in dense vegetation, open forests, close to meadows and farm fields. They are solitary birds being sighted in pairs only during the breeding season; however, they sometimes migrate together in small groups. The long-eared owl is nocturnal and specializes in hunting at night; however, they become active before dusk when they are feeding their young during the nesting season. These birds are specialized raptors that can fly low to the ground while they are hunting. They calculate the exact location of their prey with their acute sense of vision and hearing that gives them the ability to capture rodents in complete darkness. As these birds are very quiet, it is very difficult to spot them during the day. They can camouflage themselves very effectively as their body can mimic the tree trunks of the forest. They do this by elongating their slender bodies and compressing their large feathers. 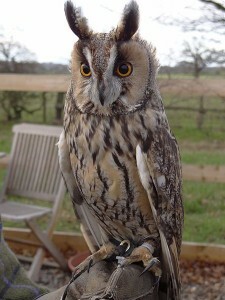 Long eared owls are monogamous birds whose breeding season usually occurs from the middle of March to May. This process is initiated by the males who occupy nesting areas first and begin their territorial calling at the onset of winter. The courtship rituals consist of males gliding and flapping their wings and emanating loud clapping sounds. 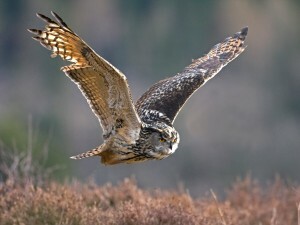 If the female is impressed with this display flight, she will respond by giving her nesting call and hopping around a nest; this serves as a signal that she has selected her mate. She then keeps flying back to the same nest and the male comes in close proximity to her, followed by mutual feeding and preening. 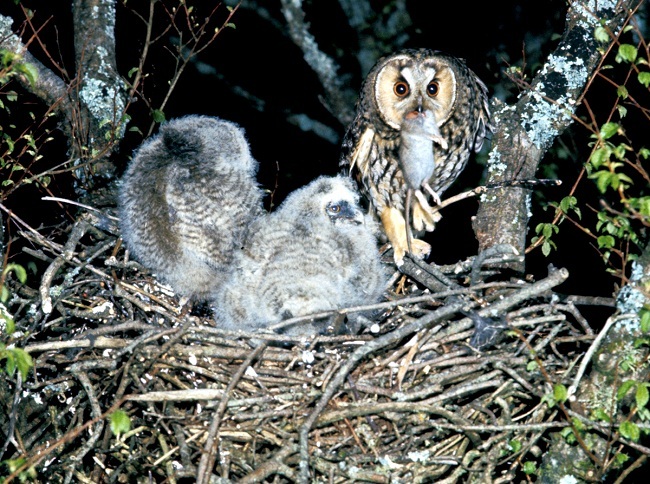 The female roosts on the nest after selecting it and both the birds start cohabiting together after pairing. These raptors don’t build their own nests; they tend to use the old and abandoned nests of other birds like magpies, hawks, herons, ravens and crows. The nests are usually built on dense woods that are hidden with long creepers and small leafy plants. 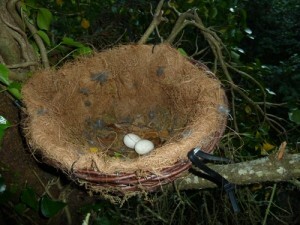 After the nest building process is over, the female lays a clutch of around 3 to 8 eggs and starts incubating them. The average size of a clutch is around 4 to 5 eggs that are laid at irregular intervals of 1 to 5 days. The incubation period is completed at the end of 25 to 30 days with the nestlings fledging at the end of 5 weeks. It takes around 2 months for the juveniles to become fully independent and they will be ready for breeding when they become a year old. One of their ears is fifty percent larger than the other and is located a little higher up in the head. This helps them to hunt in a better way as it gives them three dimensional acoustics that comes in handy during pitch darkness. 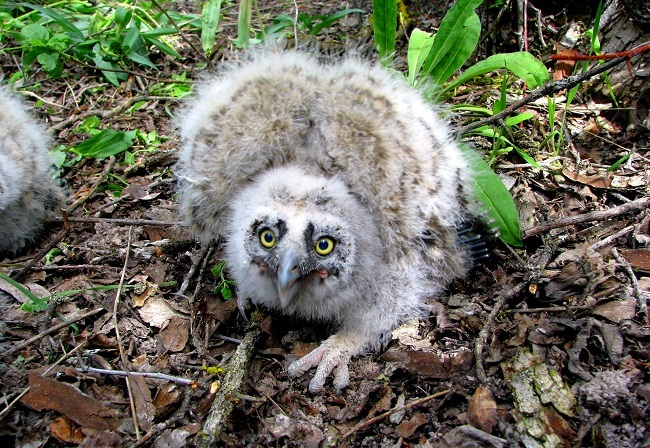 They have strong and powerful talons that help them while hunting and tearing open the flesh of their prey. 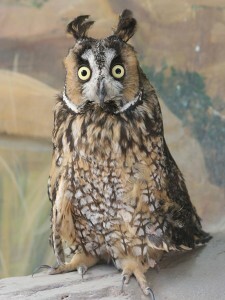 These birds can turn their heads to a 360 degree angle that enables them to see and hear behind themselves; this helps them in locating their prey in the dark. Their feathers are made in such a way that they allow the owl to be nearly silent when it is flying; this helps in fooling its prey who are caught unawares. The ears of great-horned owls face outwards and are evenly spaced out whereas those of long-eared owls are close together and stand erect; this helps in distinguishing between them. 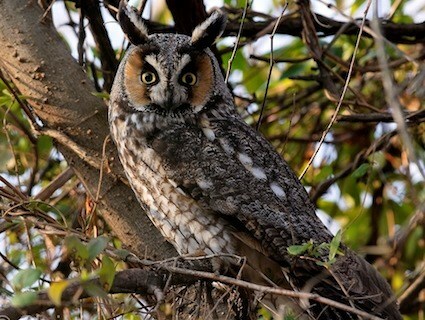 Long-eared owls like to dwell in thick brushy areas whereas great-horned owls like tall trees in heavily wooded forests; however, sometimes their habitats can overlap. The male long-eared owl gets food for the female and chicks during incubation as well as brood rearing. He continues feeding the chicks for around 10 to 11 weeks after birth until they eventually become independent. 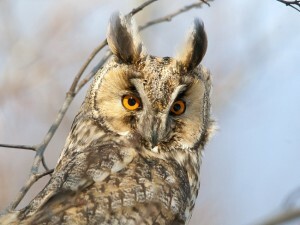 The male long-eared owl can hoot so loudly that his voice can be heard around 1 km. away. 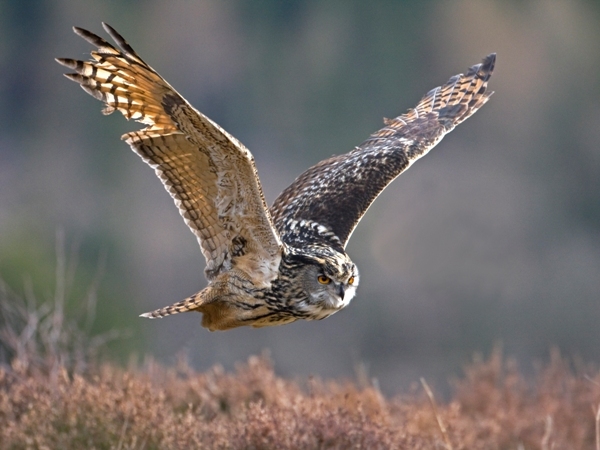 When the long-eared owl is flying, the long-eared tufts come close together and cannot be seen. This bird swallows its prey whole once it has captured and killed it. They have the ability to regurgitate the bones of the swallowed prey in the form of pellets that are thrown out of their mouths some time later. Published on July 8th 2015 by admin under Coniferous Forest Animals. Article was last reviewed on 2nd December 2015.